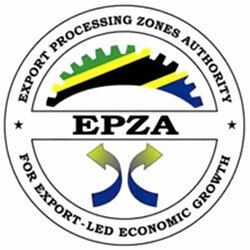 Two weeks after a business forum, identified as “Doing Business in Tanzania,” was organized by the Tanzania Export Processing Zones Authority (EPZA), Tanzania Investment Centre (TIC) and the Zanzibar Investment Promotion Agency (ZIPA) in collaboration the Corporate Council on Africa in the United States, experts are reporting positive results. President Jakaya Kikwete led Tanzania’s government and business officials at the forum and the EPZA Director General, Dr. Adelhelm Meru told journalists over the weekend that three companies have sent request to invest in areas under EPZA. “We have three requests just weeks after the business meeting,” he said. According to Hon. Meru, investors have shown an interest in hide products value addition, Information and Communication Technology (ICT) and infrastructure development as well as agriculture and energy production among others. The forum was attended by more than 400 people representing companies from almost all 50 of the US States thereby enabling the Tanzania business delegation to meet their US counterparts. At the time of the meeting, US President Barack Obama announced trade deals between the US and Africa totalling USD 14 billion to be used for projects related to clean energy, aviation, and infrastructure in addition to the USD 12 billion that will also be invested in the current Power Africa initiative.